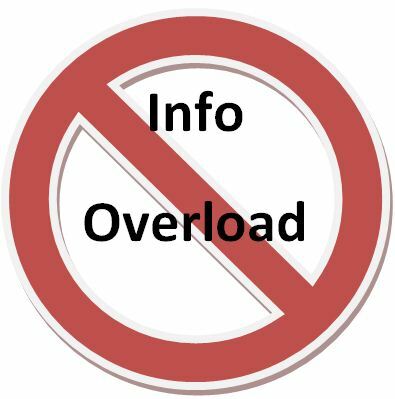 As a person driven by the joy of dealing with massive amounts of data, you can likely view tons of data without feeling overwhelmed. But, when designing BI dashboards remember, most users aren’t like you. I’m not saying this is a bad thing, what would the world be like if it were filled with data geeks? -Eeek. To help users make sense of the massive amount of data that you will be displaying I recommend organizing a single page dashboard with data organized into meaningful groups. If more information is needed you can hyperlink each group title and present the user with a fresh one-page view that is specific to the particular group. Too many graphs, charts, and KPIs will simply begin to blur and the user may actually feel less informed after becoming overwhelmed with too much data. In addition, I recommend paying attention to the level of detail that is displayed on your dashboards. If your user’s home dashboard is littered with detailed information they may end up spending a lot of time trying to figure out which data sets are relevant to their questions. Save the home dashboard for summary data that allows the user to drill down into more detail if needed. You may also want to consider what level of detail to display when the user does wish to drill down on a report. I have found that allowing for three layers of drill down display provides a good balance. The user can navigate from summary, to aggregated, to individual record detail at will. One final point I would like to make when considering the potential for information overload is to thoughtfully organize your user’s dashboards. Rather than simply squeezing in charts wherever they will fit engineer your dashboards to help the user find the most vital information easily. Most users’ eyes will naturally begin reading at the upper left hand corner of the screen, so naturally it would be a good idea to place their most coveted information in this area. Other less relevant data should be placed at the lower left hand corner of the screen, while keeping in mind the importance of arranging data in a meaningful way that allows the user’s mind to easily move from topic to topic. Best of luck in your dashboard creation ventures! I hope this has added value for you.